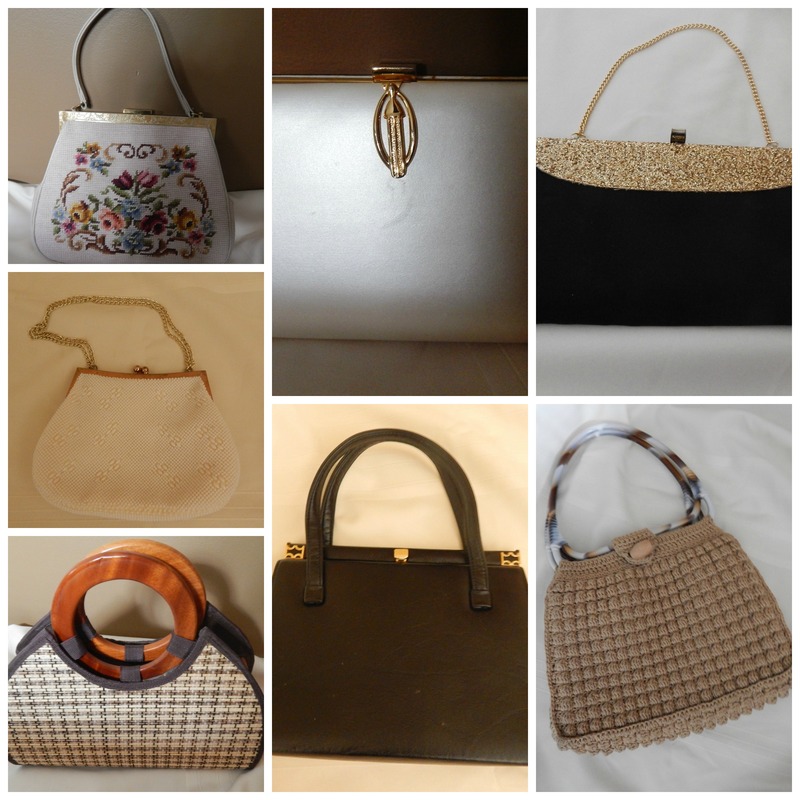 Here are a few recently thrifted purses. 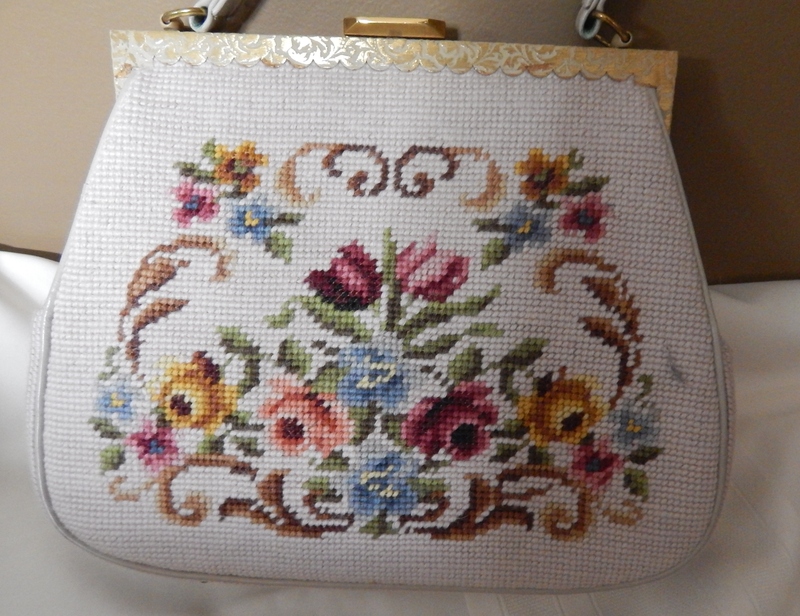 This intricate embroidered bag that I picked up last weekend. 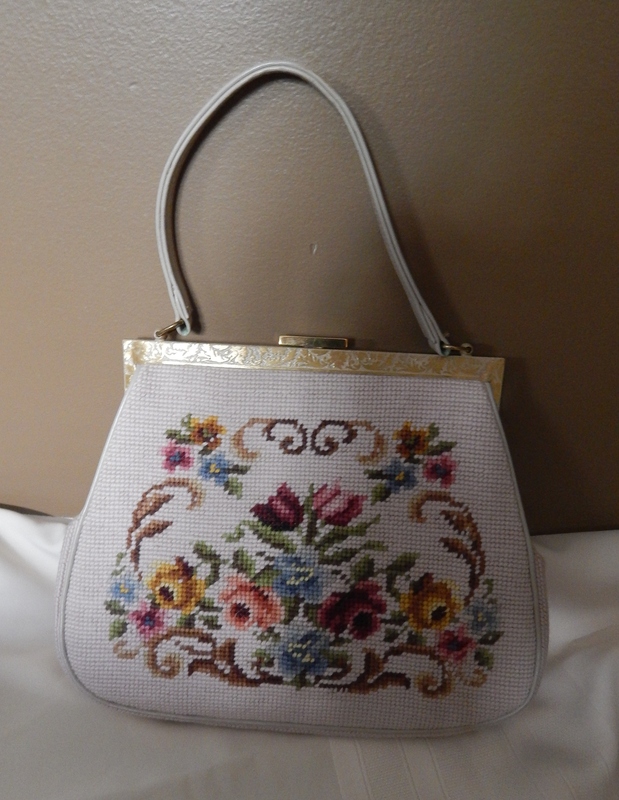 For some reason, the Value Village in St. Catharines has en enormous assortment of interesting purses. 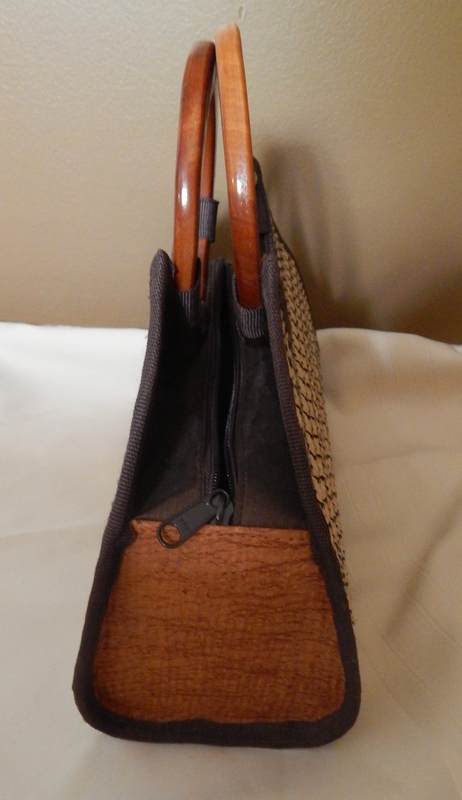 I believe this one is made by JR Handbags. 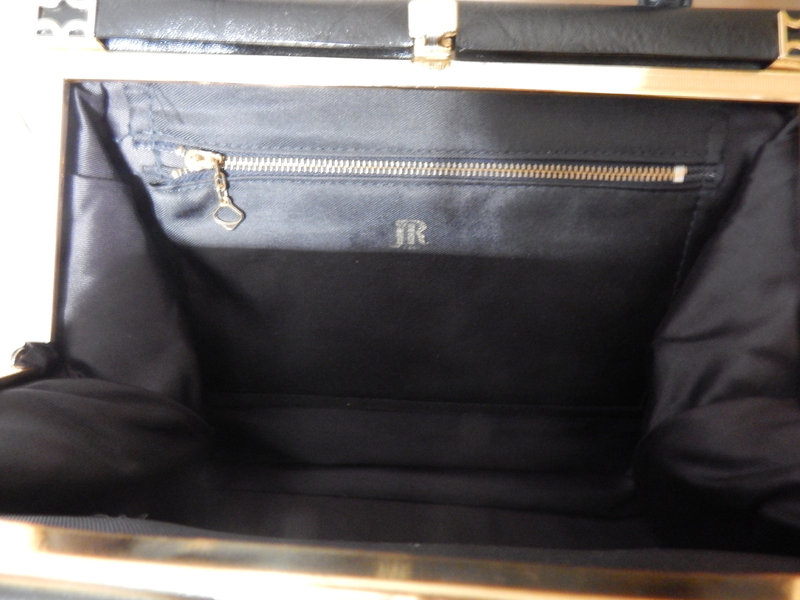 Though it has no stamp, I suspect it is a JR because the zipper pull is exactly the same as the black JR handbag further down in this post. JR stands for Julius Resnick, who made quite a name for himself in the 1950s. Next we have this for real Julius Resnick. 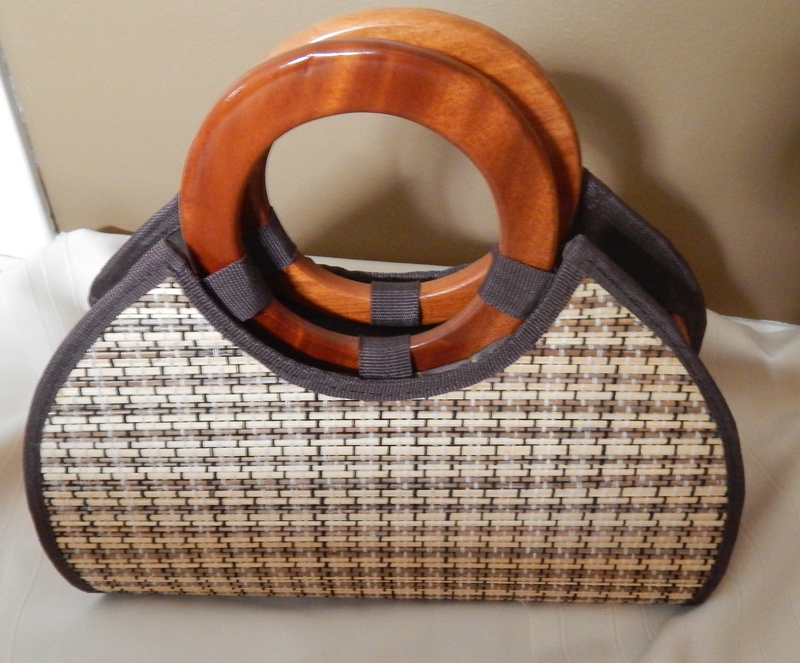 I LOVE, LOVE, LOVE this bag. It reminds me so much of my mother. 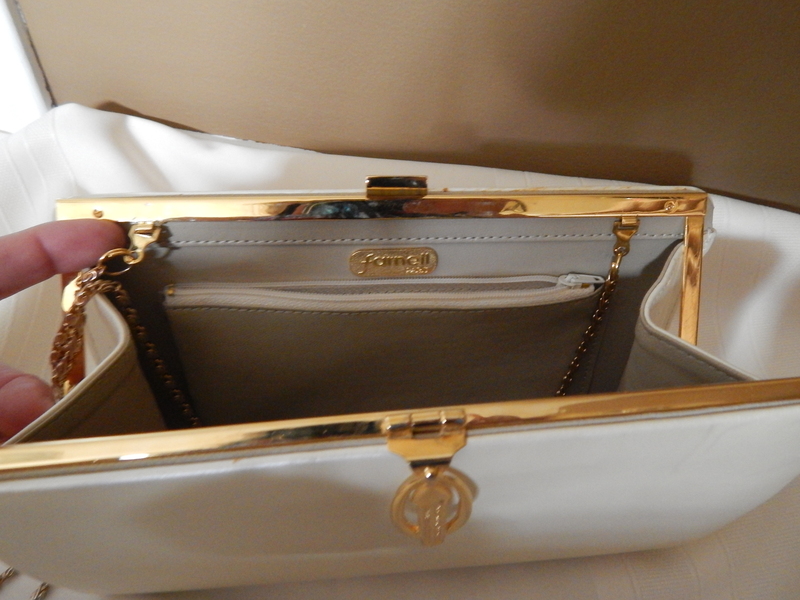 She laughs when I tell her that I remember her purses. 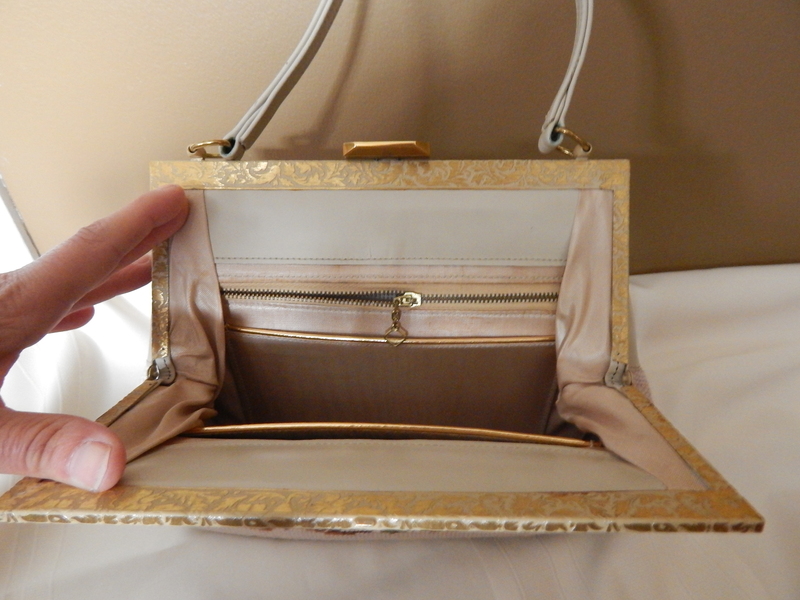 The leather, the gold details, the little footstands on the bottom. Onto this beaded beauty. I bought this because I had one when I was a little girl and I used to pick the beads off (I don’t know why) and then I threw it away. 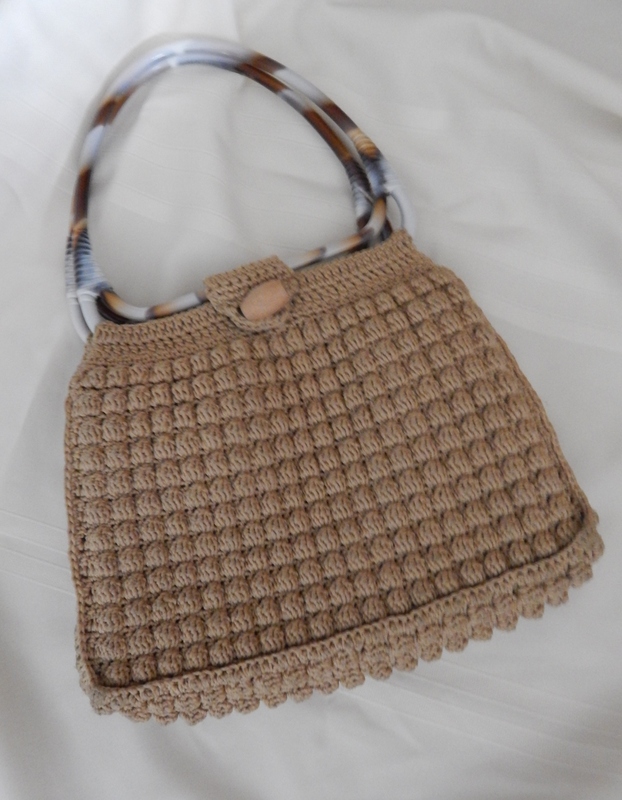 Who doesn’t love a good crocheted bag? I mean really. The handles? 1970s anyone? Hello there. How about this one all decked out in gold? Haven’t we seen enough of silver accents everywhere? Bring back the gold. Bring back the 80s! 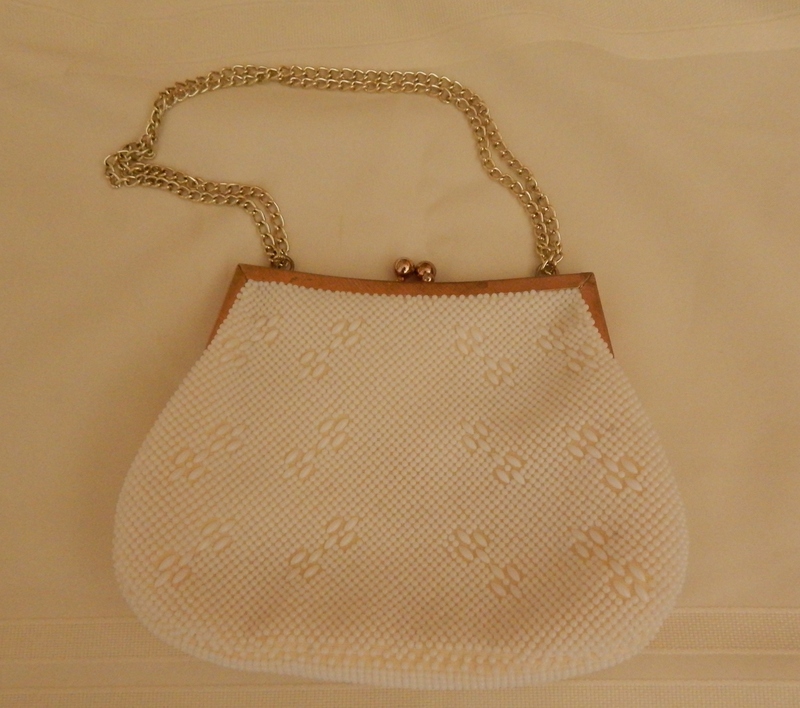 This one is soft as butter by Farnell Paris. My daughter wants it and she NEVER wants anything I thrift! 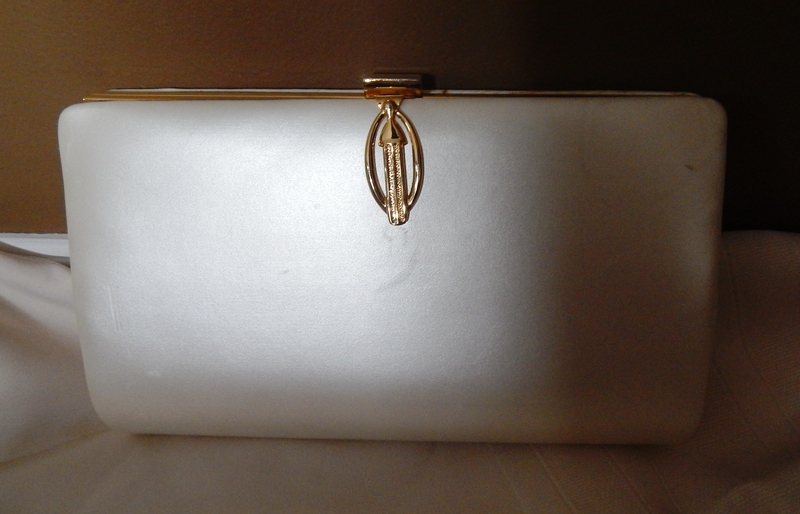 And finally, I admit I don’t believe this is a vintage but it is different and so of course I bought it. 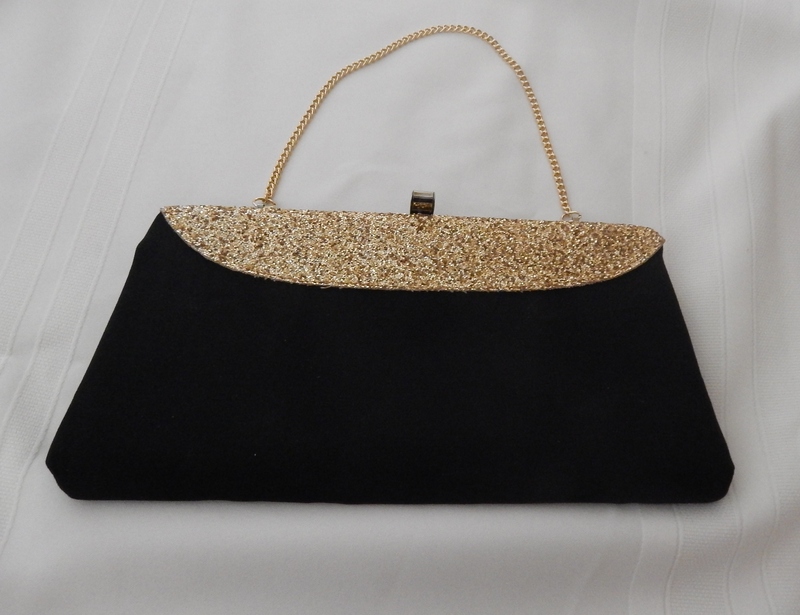 Just not a crazy vintage bag lady except to accessorize evening/formal dresses. 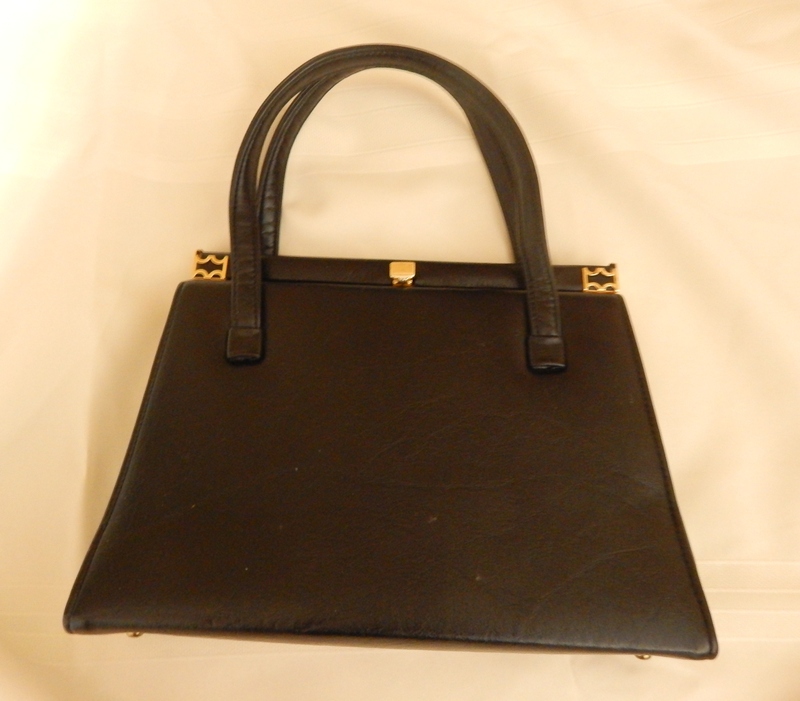 However, love all of these bags and glad you are reloving them.